Recently, we came a cross an old hard drive that we had swapped out of a computer long ago; who knows what revealing bits of information were on it? 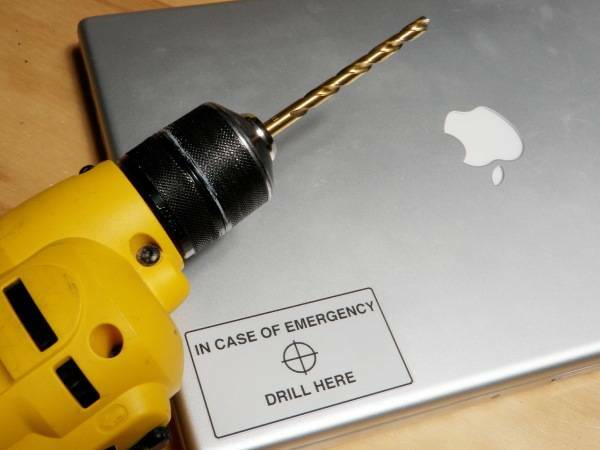 We searched the internet to learn how to dispose of a hard drive without leaving ourselves open to industrious hackers. We could either wipe it clean by ways that were way beyond our competence or…DESTROY IT. A friend of ours took it onto the street and smashed it to bits on the sidewalk using a $9 hammer we’d bought on Amazon. She returned with the twisted wreck, which had become was curiously beautiful…an inadvertent sculpture. It reminded us of a haunting photo essay we’d seen in the New York Times about poor countries becoming toxic graveyards for cast-off Western computers. In a letter to the Times, Allen Hershkowitz and Kate Sinding of The Natural Resources Defense Council recommend going through eStewards to find a certified recycling place that WON’T just ship your stuff to a poor country. You just type where you live into the search box, and they’ll guide you to the right place. (In NYC, you can drop your stuff off at Goodwill Industries around town.) You can also pack and mail your electronics to We Recycle for $30 a box. HA. Wish we’d thought about that. The Comments threads following the BoingBoing post also offer lots of interesting ideas…. I would say destroying this hard drive was strangely gratifying. Though I really appreciate your low activity method.